Patricia Ann “Pat” Kaiser, 82, North Webster, passed away at 1:31 p.m., Monday, May 14, 2018, at Parkview Hospital Randallia in Fort Wayne. She was born Aug. 31, 1935, in Merrill, Mich. to Lewis and Beatrice (Bernath) Vedrode. She graduated from Sacred Heart Parish School in Merrill, Mich. and on June 14, 1954, she was married to Stanley R. “Stan” Kaiser, who survives. She lived most of her life in Michigan and moved to the North Webster area in 2008. 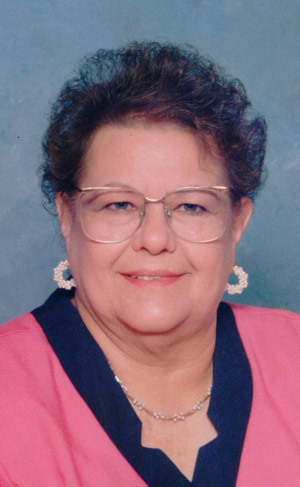 She spent most of her adult life as a homemaker and was a member of St. Martin de Porres Catholic Church in Syracuse. She is survived by her husband; four daughters: Debbie (Timothy) Wurtzel, Pierceton; Brenda (Randy) Modrejewski, Wisconsin; Denise Simpson, Michigan; Beth Johnson, Leesburg; three sons: Brian (Linda) Kaiser, Tekonscha, Mich.; Brad (Linda) Kaiser, Wisconsin; Scott (Kim) Kaiser, Rockford, Mich.; 25 grandchildren; 21 great grandchildren; two sisters: Pauline Howe and Julie McCormick, both of Michigan. Funeral Mass will take place at 11 a.m. on Thursday, May 17, at the Sacred Heart Catholic Church, 125 N Harrison St, Warsaw, IN 46580 with Father Matthias Alonyenu officiating. Owen Family Funeral Home, SR 13 and CR 500 N is in charge of arrangements. Cremation will take place at Cremation Services of Kosciusko County, 4356 N. SR 15, Warsaw, IN. Preferred memorials may be given to the American Diabetes Association, P.O. Box 15829, Arlington, VA 22215. Envelopes will be available at the funeral home.